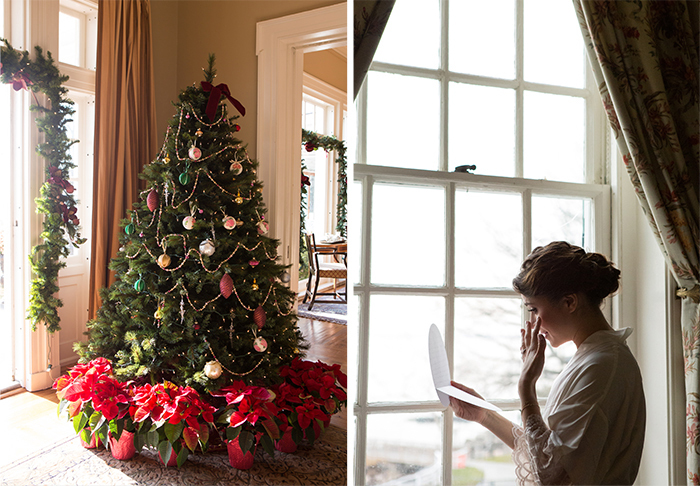 It’s Christmas Eve! 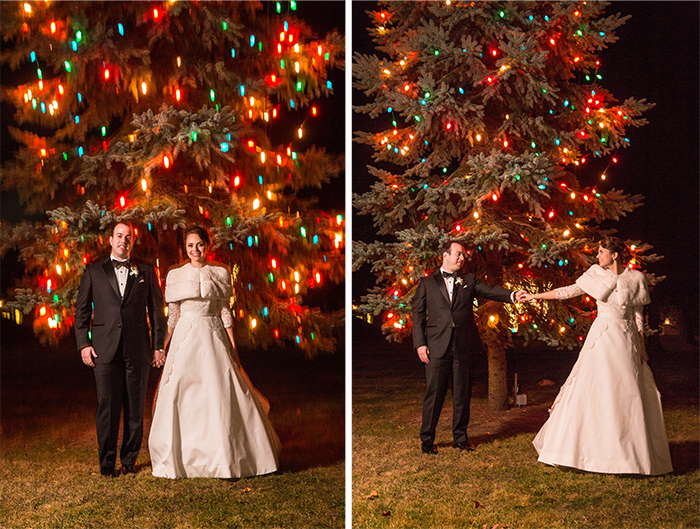 Today’s wedding is really fanning the flames of our holiday spirit. 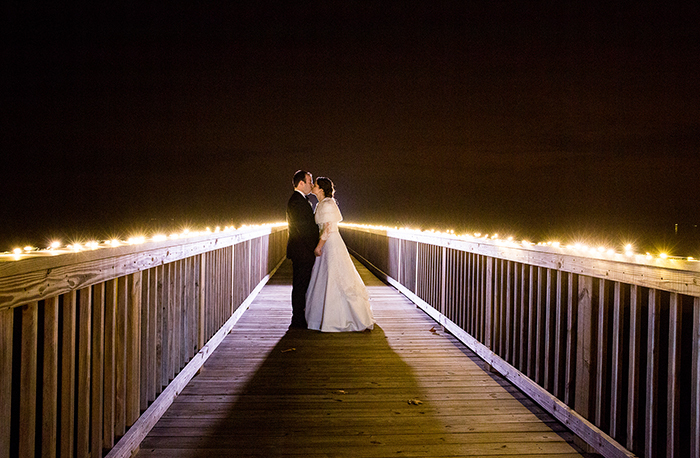 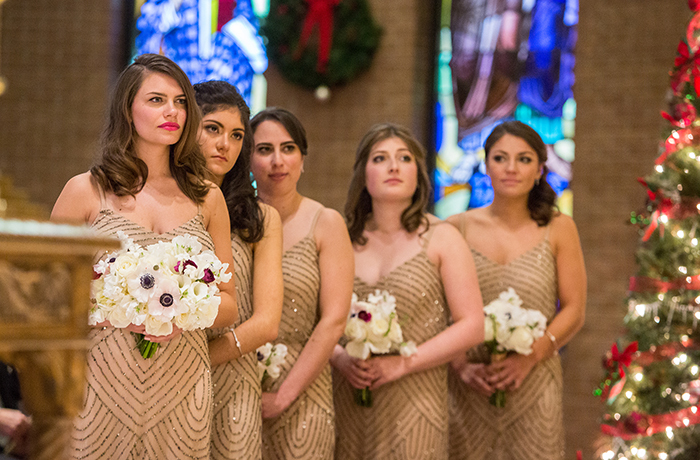 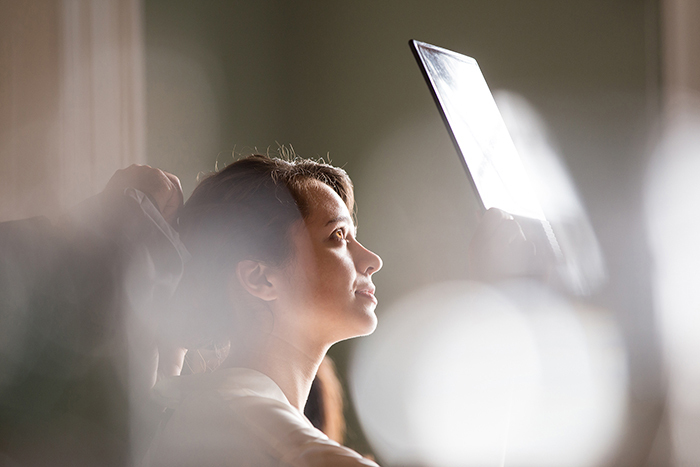 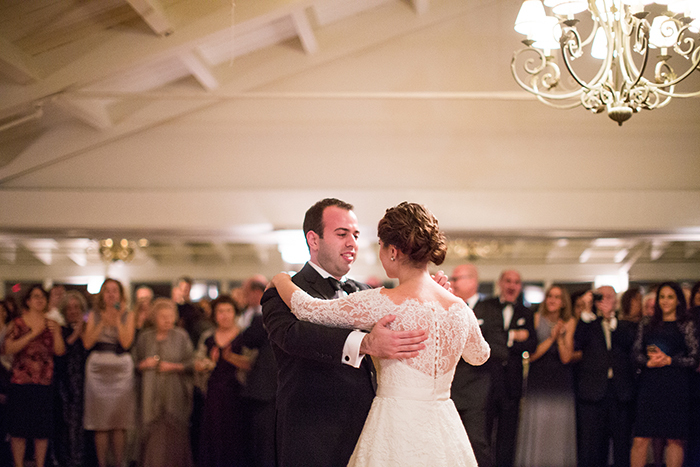 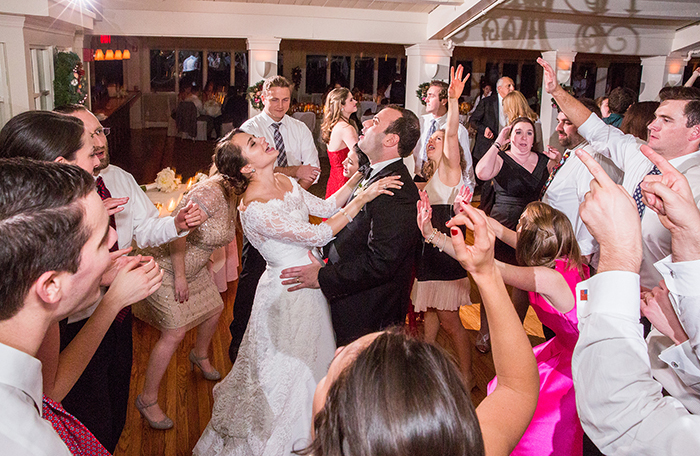 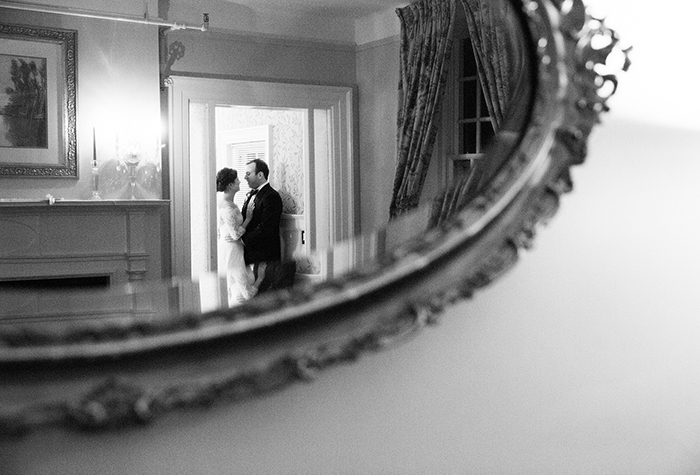 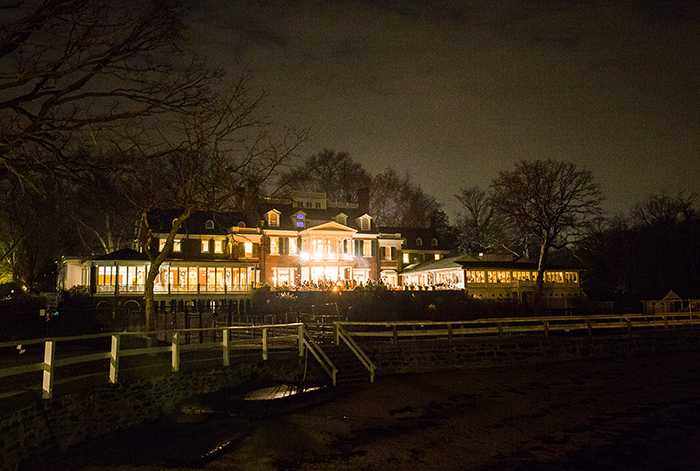 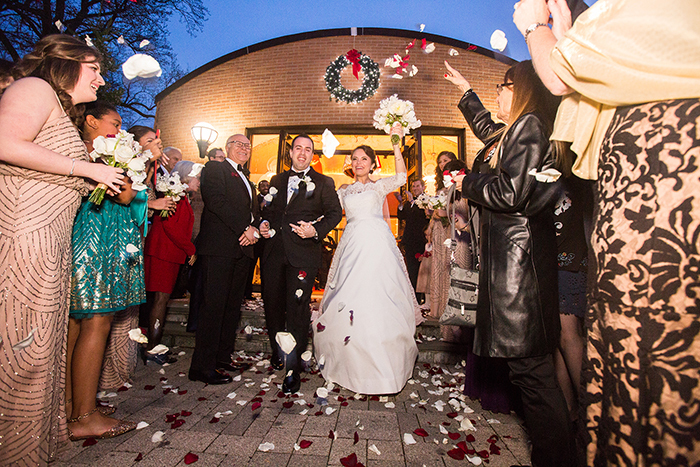 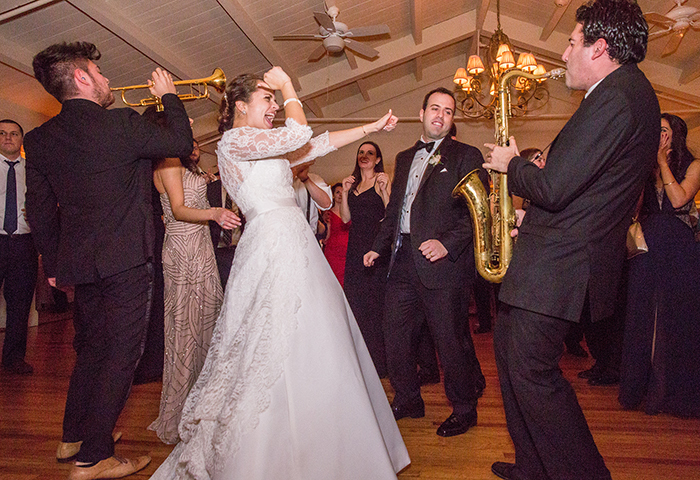 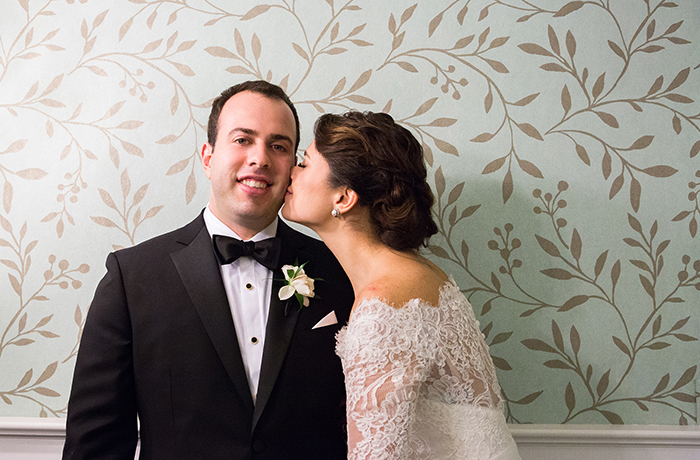 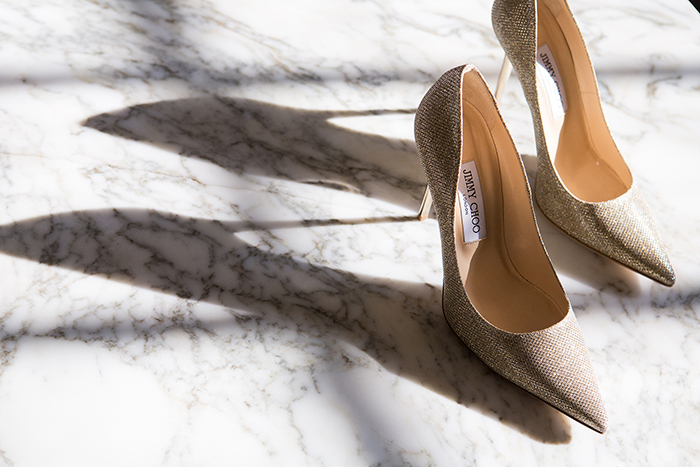 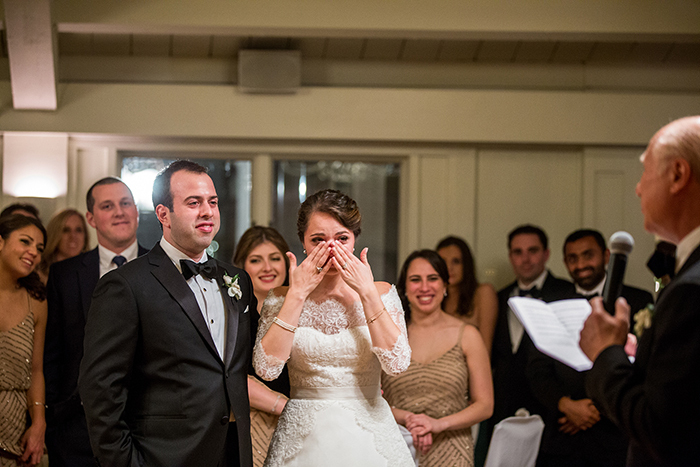 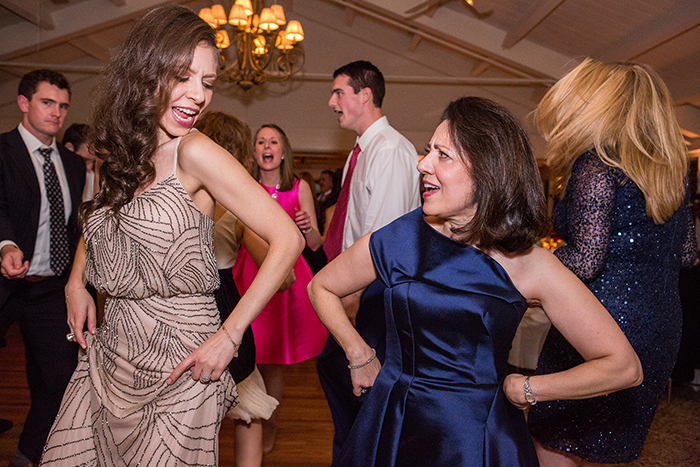 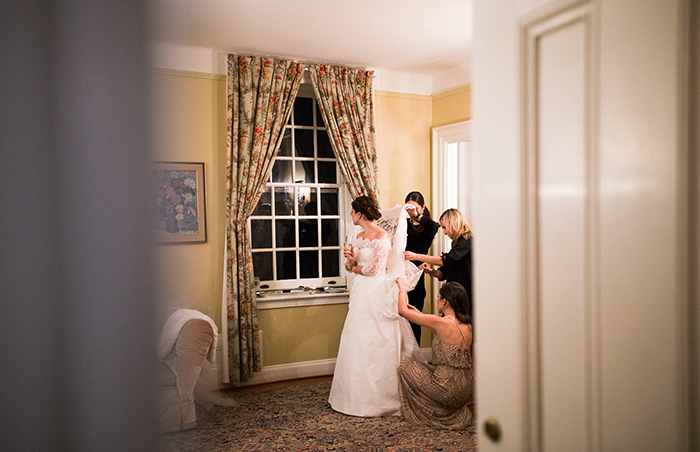 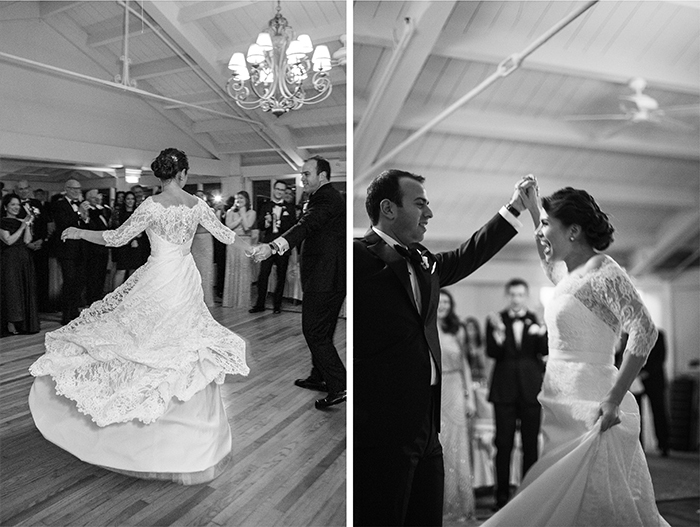 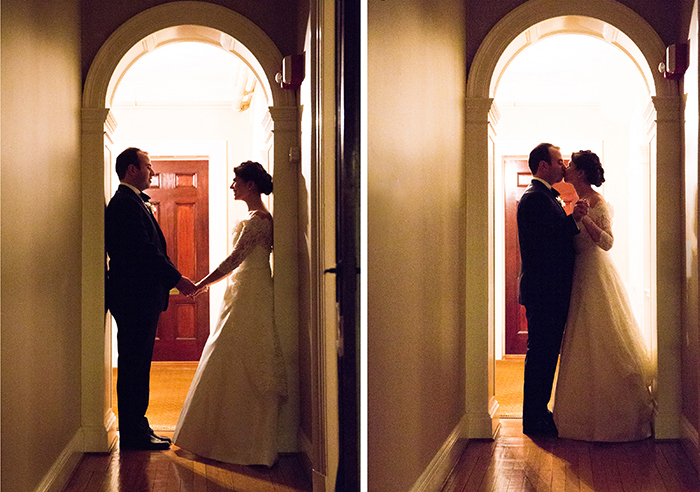 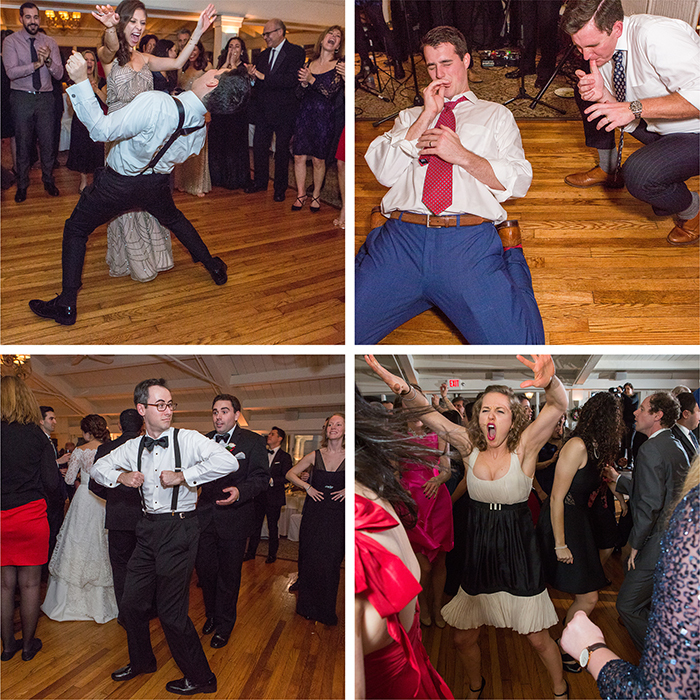 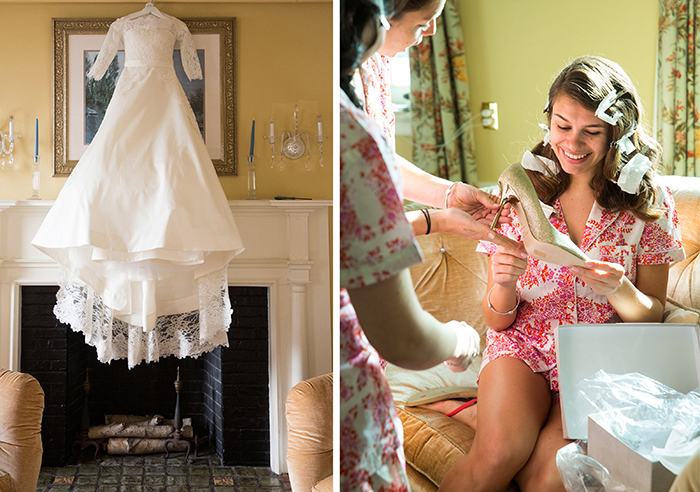 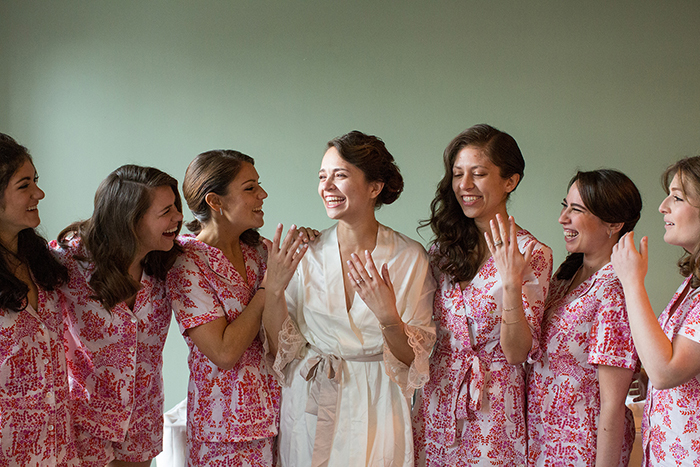 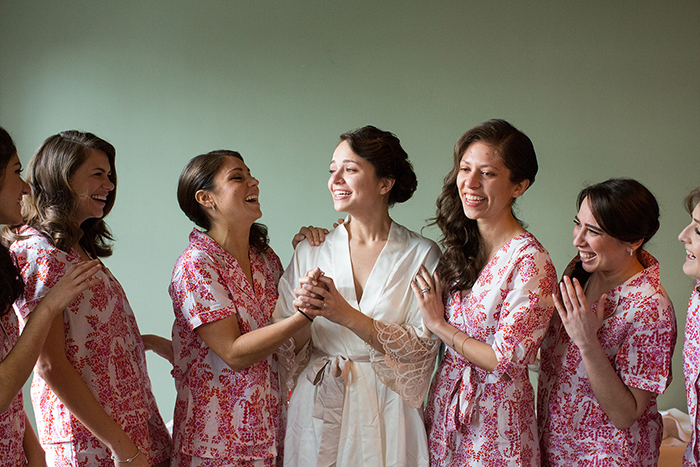 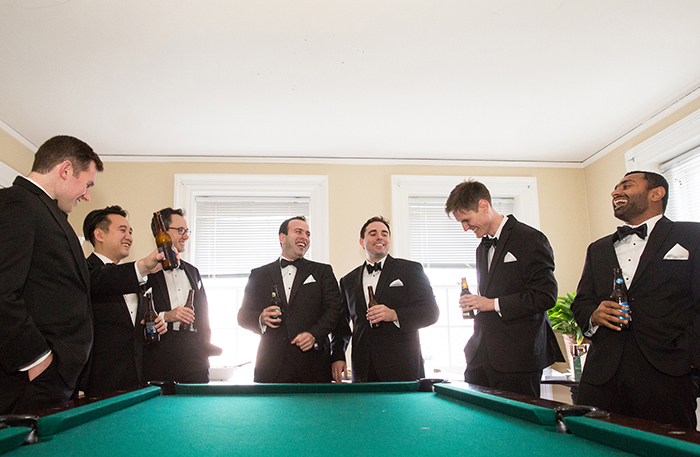 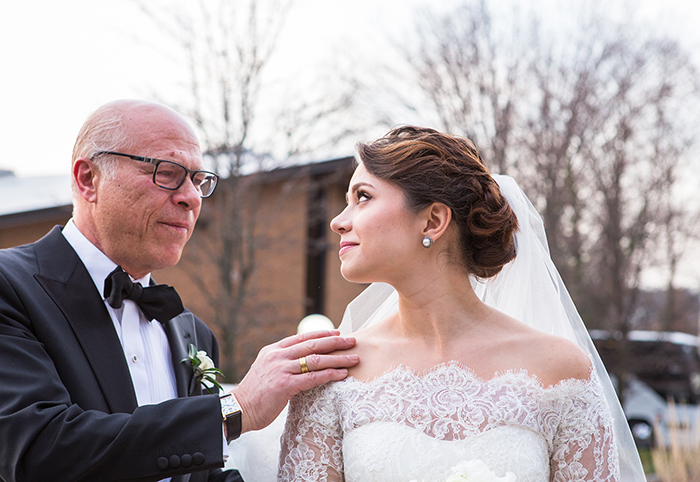 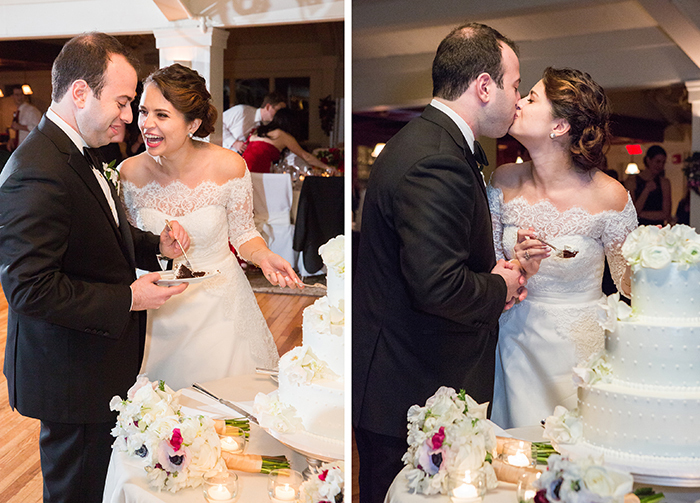 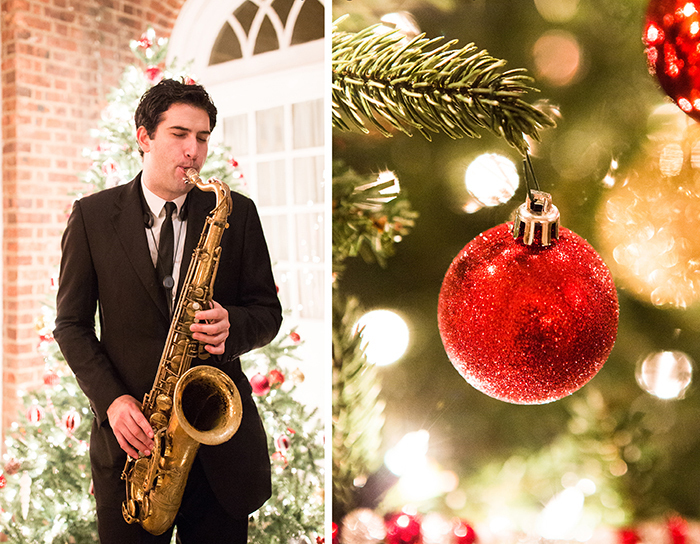 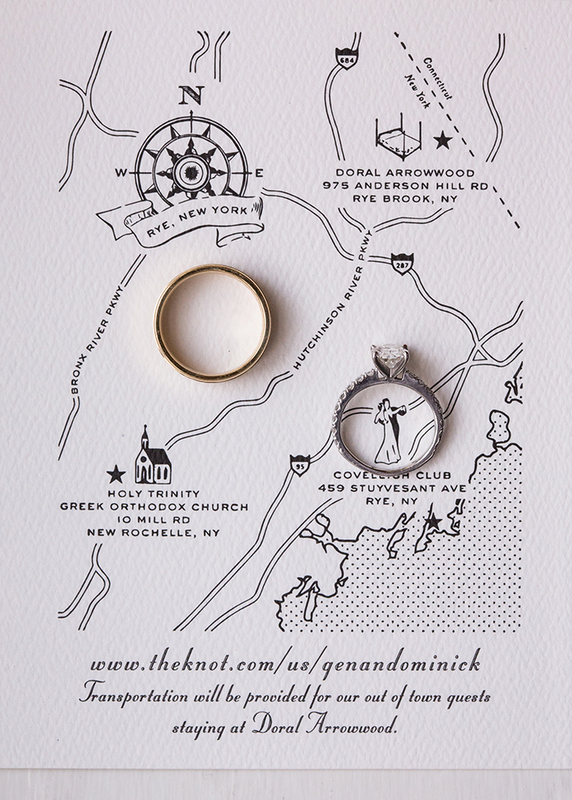 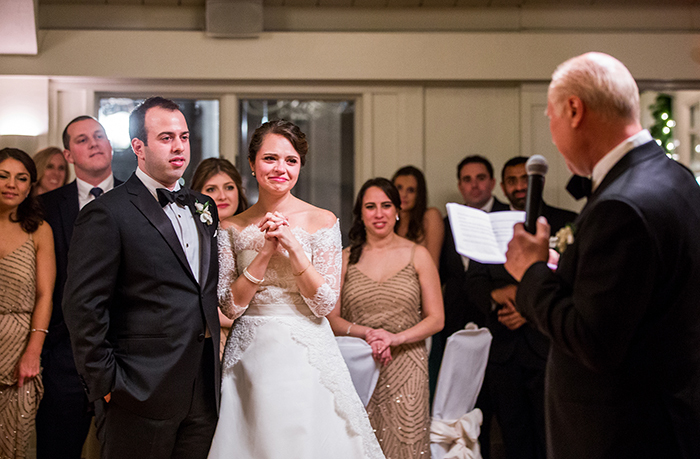 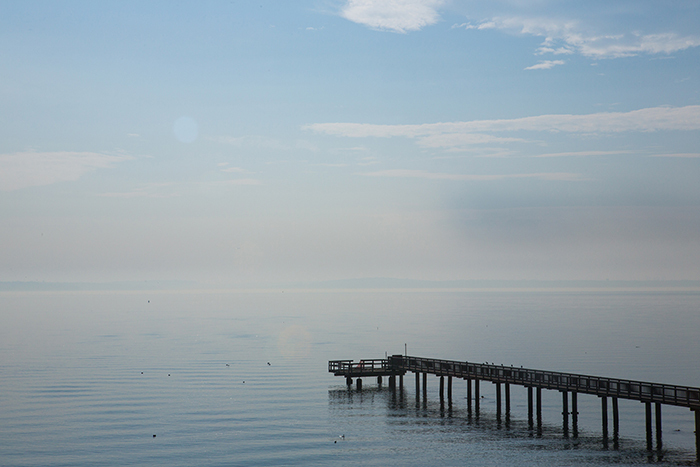 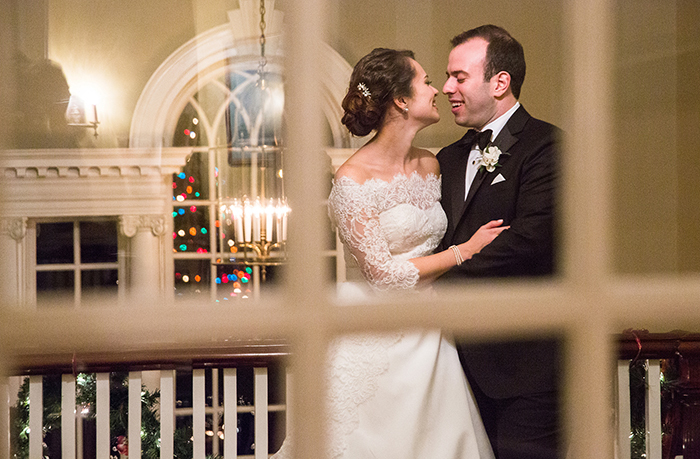 Gena + Dominick got married at Coveleigh in Rye, NY on a unseasonably warm day in December. 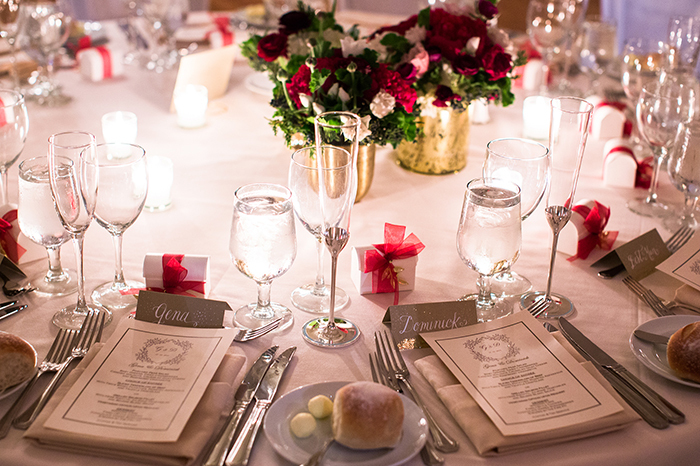 Everything sparkled, a-glow with white lights and red + gold glass ornaments. 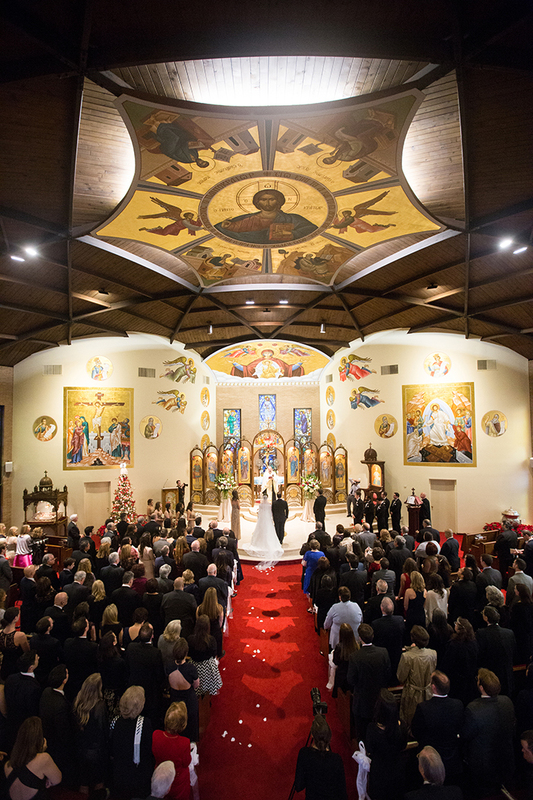 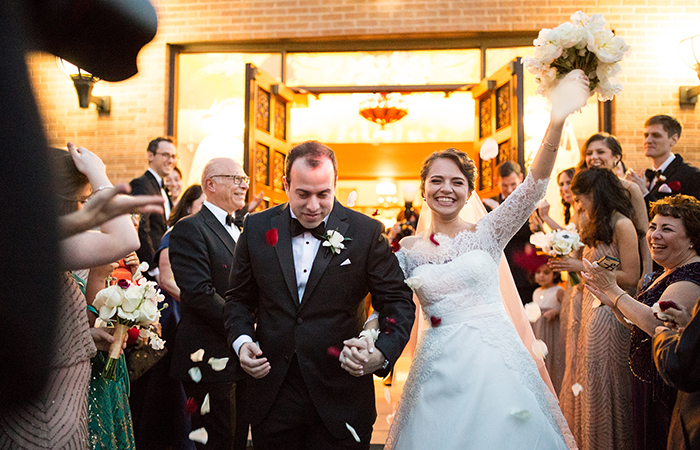 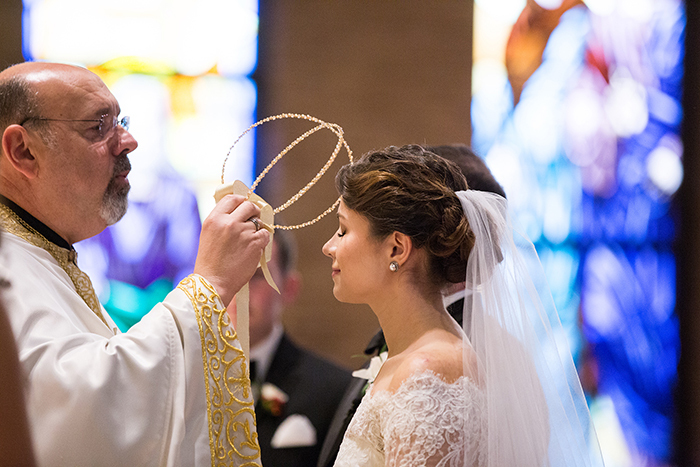 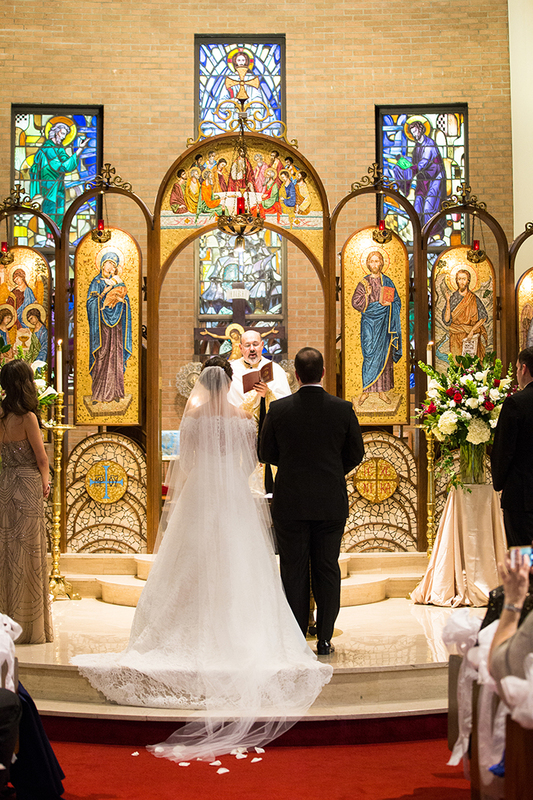 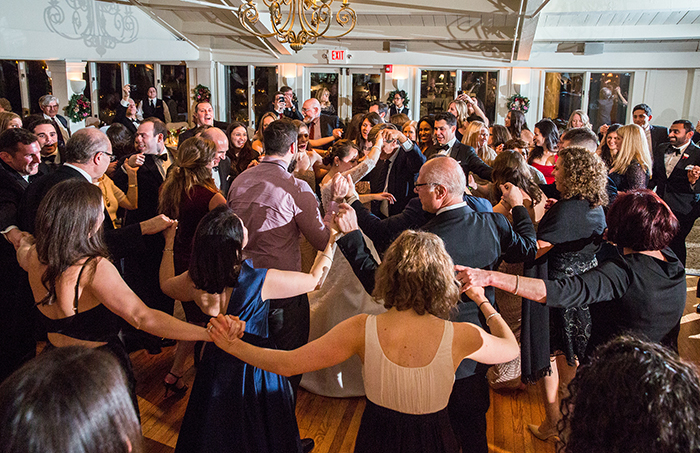 After saying I do at the beautiful Holy Trinity Greek Orthodox Church, the couple got cozy with their guests, drinking, dancing and toasting all night. 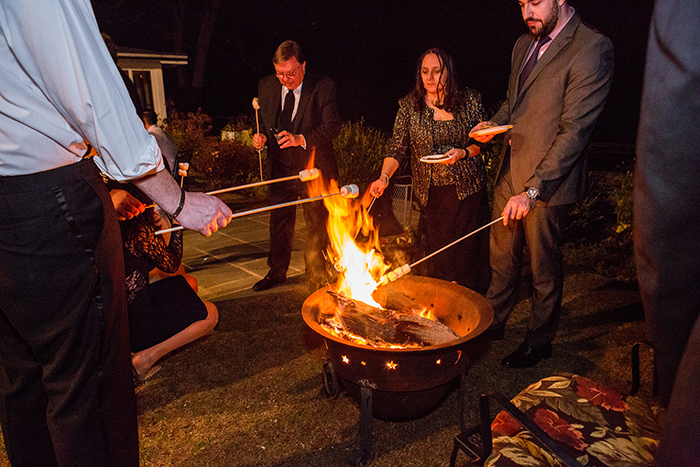 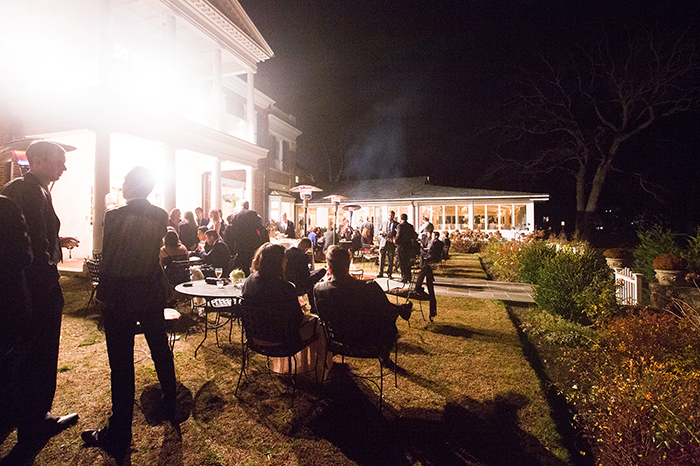 We loved their personalized extras like a Greek dessert trucked parked out front, lots of Greek dancing and our favorite late-night bonus: an outdoor S’mores station with a roast-your-own-marshmallows fire pit. 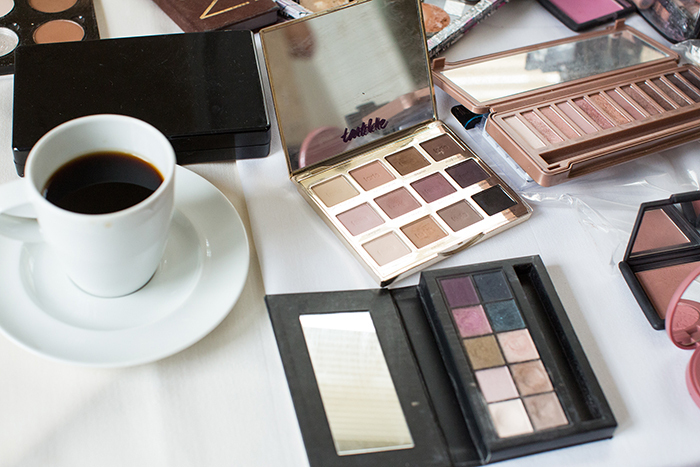 YAAAASSSS, please. 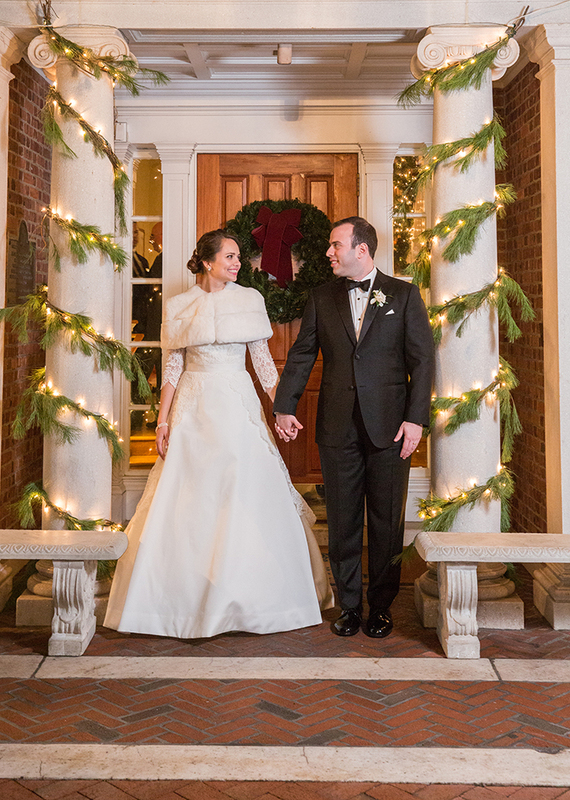 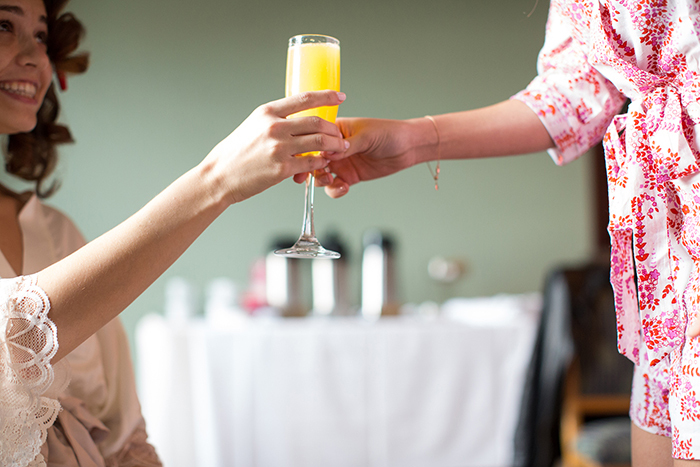 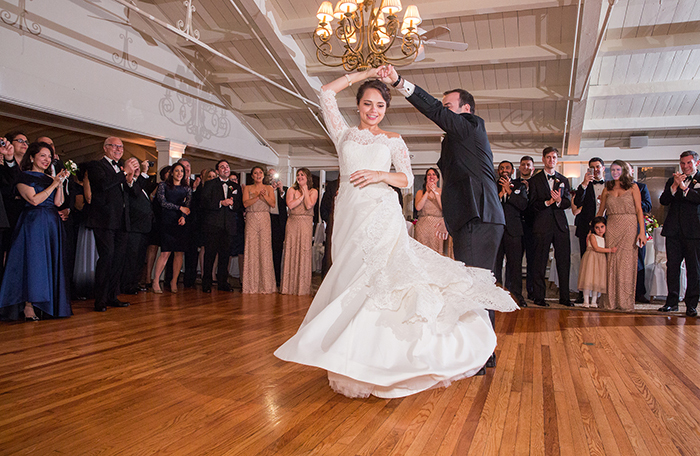 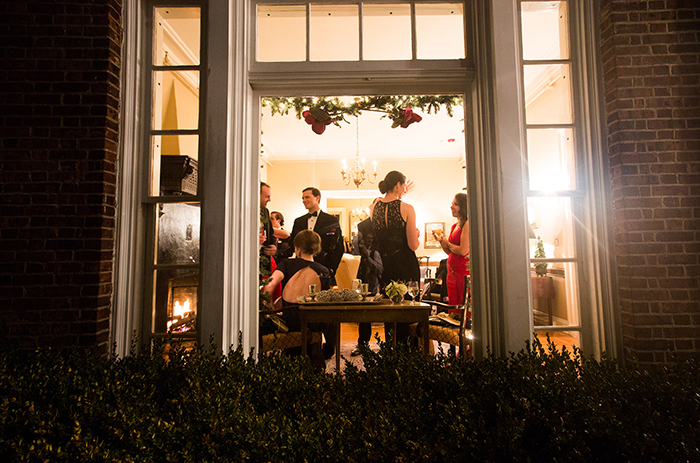 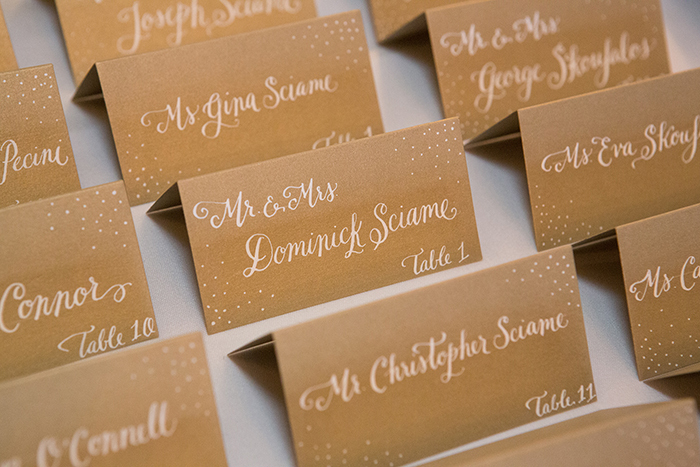 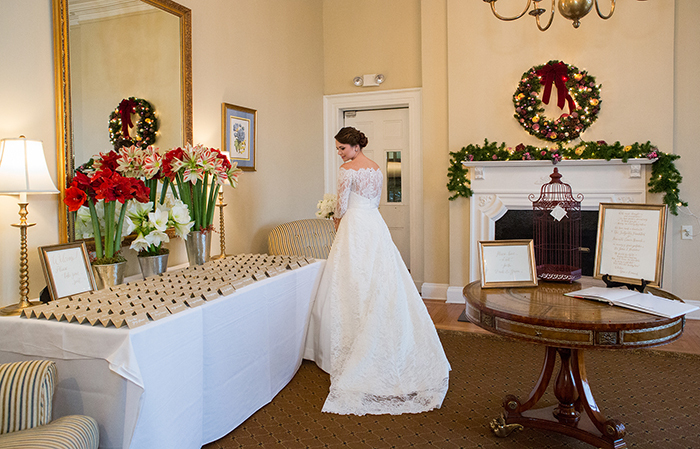 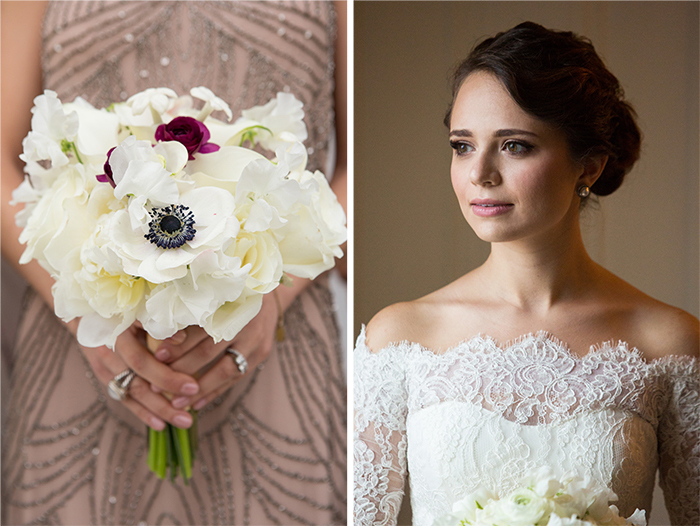 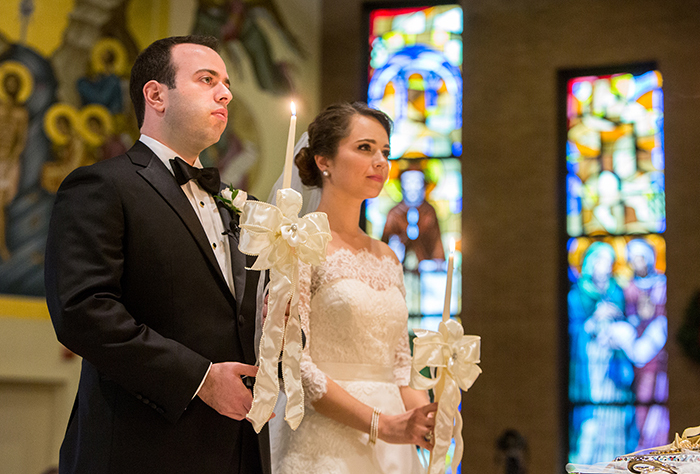 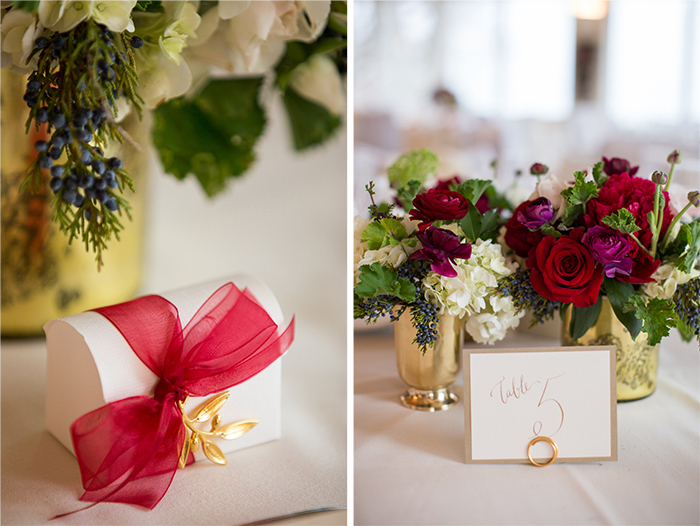 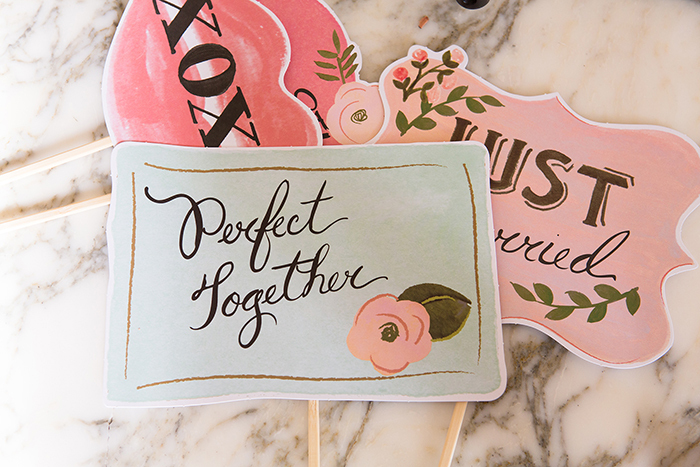 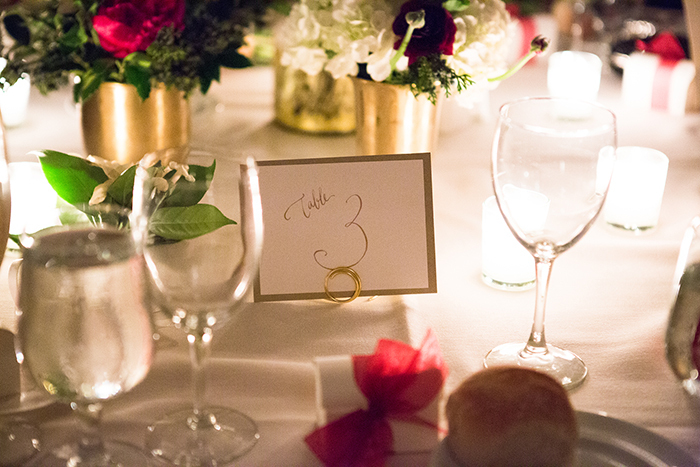 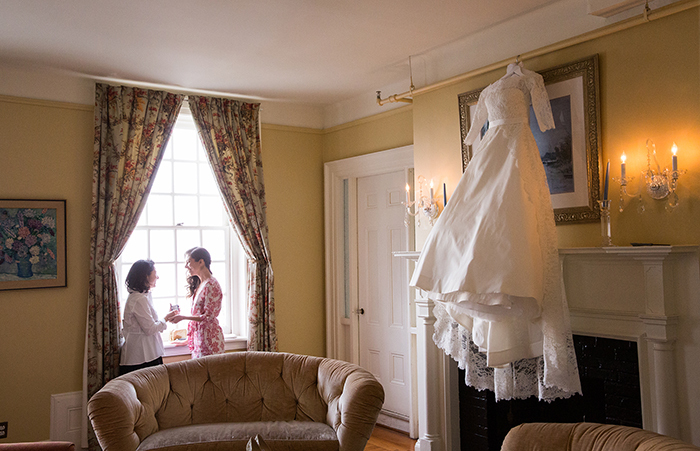 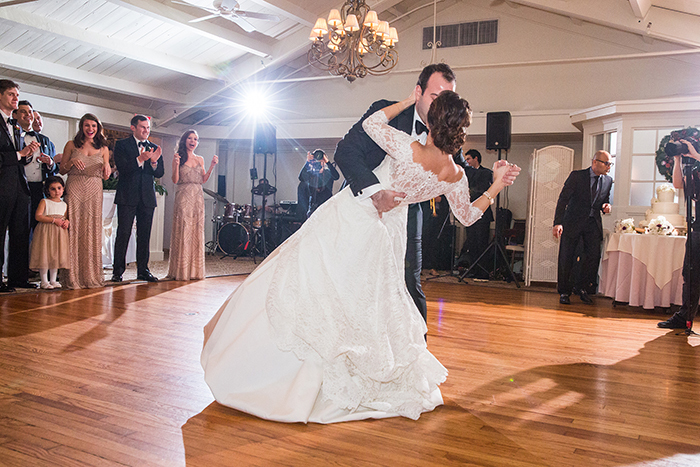 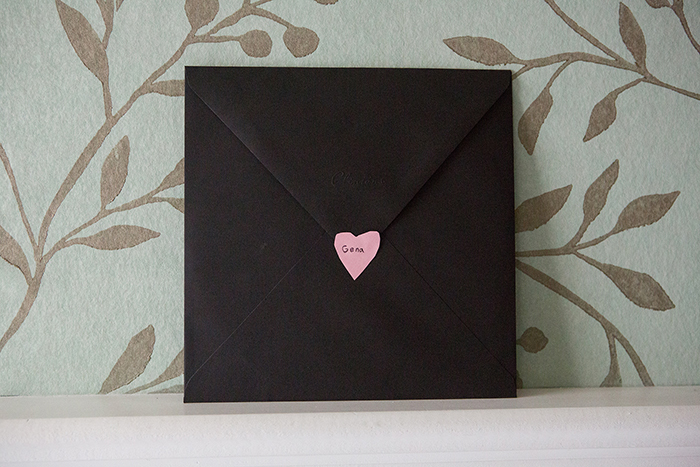 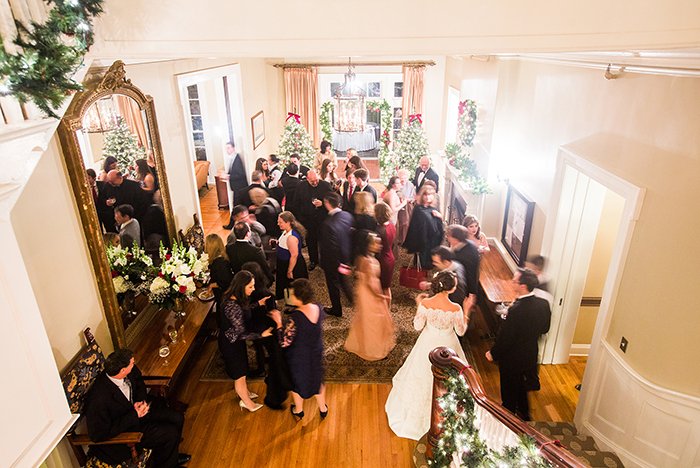 We think you’re going to love this adorable couple’s elegantly festive celebration. 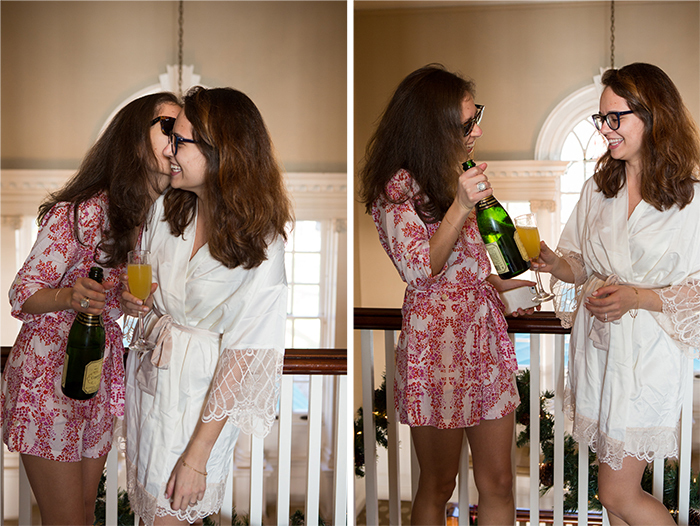 Merry, merry Christmas from AG+AG!